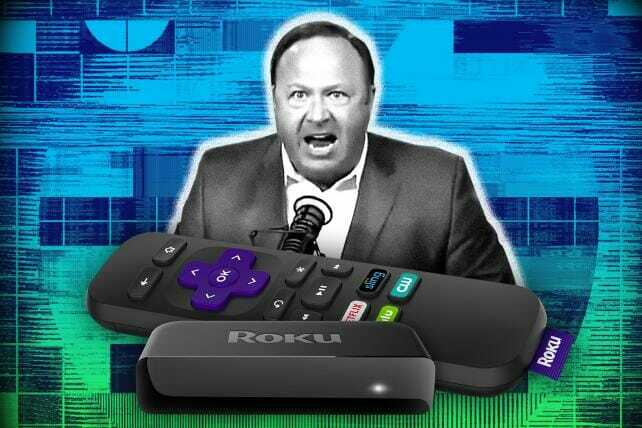 A spokeswoman for Roku said that the company does not have a financial relationship with InfoWars and does not deliver any ads to the channel, but that so far Alex Jones’ network, which has been widely criticized for promoting conspiracy theories, has not broken any rules to warrant a ban. Digiday was first to report Tuesday on the news regarding InfoWars’ new safe haven. Jones has been a source of trouble for platforms with his daily streaming show that is rife with talk of conspiracies and fear mongering. He is perhaps most famous for claiming that the 2012 Sandy Hook shooting was a false flag operation and that the victims’ families were actors. Twitter also removed Jones’ account, while Apple blocked his content from iTunes. Spotify also banned him. Now, Roku is facing heat for letting InfoWars onto its service, with some users on Twitter claiming they would look for rival services like Amazon Fire TV in response. And the attorney representing the Sandy Hook victims’ families, who are suing Jones, blasted Roku for allowing the channel to operate and asked the company to change its position. Garett Sloane – Ad Age – January 15, 2019.